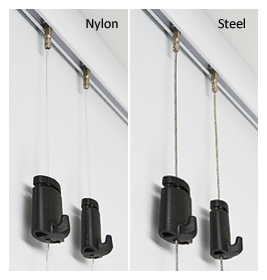 At only 12.5mm high, Contour Rail is our most compact wall-attached hanging system. Like all our rails, however, it is strong and durable, carrying up to 20kg per metre. It can be attached to the wall either 15mm below the ceiling or cornice, or futher down the wall for a defined line effect. 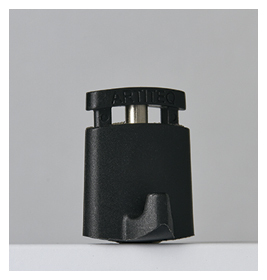 The rail is 12.5mm thick and 12.5mm high. 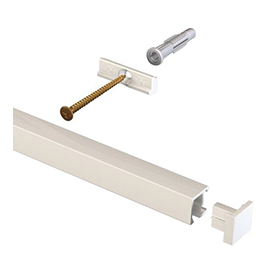 Rail kit includes wall plugs, screws, end caps and the connectors used to mount the rail on the wall.